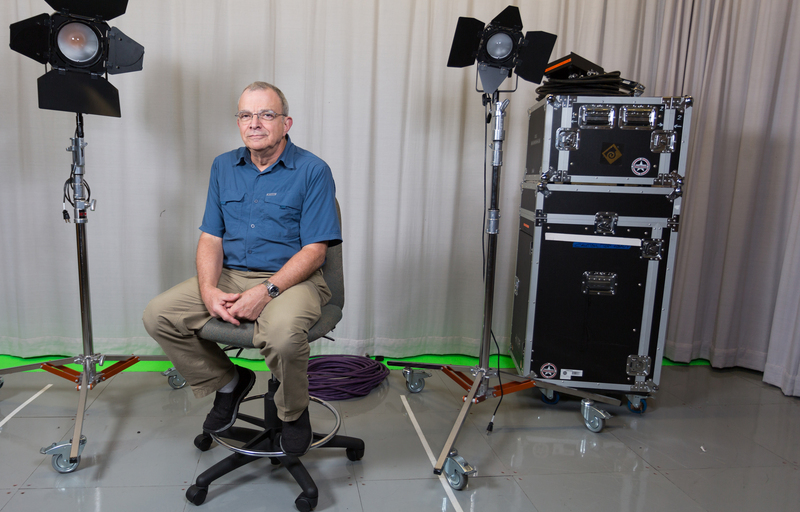 Ric Getter is the man behind the curtain, the camera and high-tech video production equipment at Portland Community College. While his title says programmer/analyst, Getter sees himself more as a communicator. In his role for video production, he handles the technical aspects of creative projects, like short films used in marketing and video for commencement and the college’s fall In-Service for faculty and staff. He directs live TV and a range of webcasts throughout the year. Basically, if there are multiple cameras involved, Getter is probably on site, directing and co-producing. The Faculty, Staff and Retiree Campaign is focused on supporting student success. A gift to the PCC Foundation helps students not only in the classroom, but throughout their academic journey to ensure they have what they need to reach their goals. 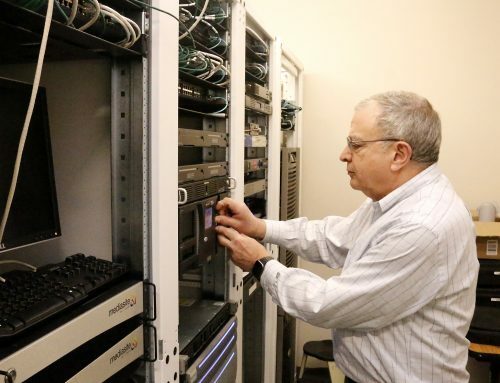 And when he isn’t monitoring a video switcher or directing live production shoots, he’s focused on the success of PCC students who work with him in the video production lab. As a result, he has learned that many of them have experienced life challenges outside of their control that have stymied their progress and their confidence. It’s for this reason that Getter has made a generous planned gift to the PCC Foundation. Through the PCC Foundation, he can support this cause for years to come. Getter and his wife, Shigemi, have committed a significant estate gift to the PCC Foundation to create an endowed scholarship. Upon their death, each year the Getter endowment will provide financial assistance to students who qualify. Getter and his wife hope that their gift supports students who will use communication as a method to break down barriers, as well as cultivate their leadership skills. “Empowering the voices of tomorrow is critical,” Getter said. Before moving to Portland and joining PCC 13 years ago, Getter worked in the Bay Area in a variety of media production roles at local television stations, business startups, San Jose State University and the Santa Clara School District. And he’s more than a media guy: In his younger days, Getter flew Cessna aircraft for fun in Massachusetts before heading to the West Coast. Today, in his spare time, he’s working on earning his commercial drone pilot license when he isn’t reading classic novels available on public domain sites. However, no matter his role or where he’s lived, Getter’s commitment to developing the potential of the next generation hasn’t wavered. And now, when he sees students walking across the stage at commencement, Getter knows he’ll be helping students for generations to come. During the past two and a half years, employees have contributed more than $6 million in planned giving and donations to the PCC Foundation. There are 9 comment for this article. If you see something that doesn't belong, please click the x and report it. Wow, Ric! How beautiful and generous. Thank you for all you do! Ric, You never cease to amaze and inspire! Wow Ric! You and your wife are amazing people to care so much about other’s education. It is an honor, and pleasure to know, and work with you. We worked together on the “Start Up Lab” in 2009, one of my first projects when I started at PCC in the Facilities Department. I appreciated then and now your commitment to helping everyone, even a new employee! I retired in June 2015 and have returned as a student. PCC is an empowering place and thank you for continuing to contribute to student success. Thank you so much for this incredibly generous gift!! I love media, creating, story-telling, and flying as well! I got my license this past summer and am also looking into the video production program at PCC. Thanks to you and Shigemi I can pursue this dream of continuing to create and connect with others though video. I’m very happy you did not remain anonymous, so that I can personally thank you! Wow, flying planes seems like a real joy! I’d love to find out more. This is so wonderful! This is what makes our community so special! Thank you very much for supporting us, students!